Meghoo told CNS that he makes a point of doing something for the community every year and he said given the circumstances this year he felt civil servants were the ones likely to be in the most need of his help. Explaining why he had decided to offer his talents free Meghoo pointed to those working in the hospital by way of example. “I think we all realize that people working in the health services sector for example are meant to be helping us with our health issues but if their health is under threat because of stress then how can we expect them to take care of us,” he noted. Given that legal advice can be very expensive and difficult to access, the lawyer said he would be doing what he could to point people in the right direction with their legal issues. Meghoo pointed out that the kind of legal problems people face can be critical things in their lives such as divorce, property disputes and, of course, employment issues. With the current economic climate it was increasingly diffult for people to find the money for lawyers so he said he and his team expected that a lot of people would be taking advantage of the opportunity. Although Meghoo said he expected there was likely to be enquiries about employment law questions given the situation in government but he said the offer of advice was across the legal board and for all aspects of law from crime to business questions and not restricted to employment law. “We expect to be handling a lot of different caseover the next few weeks and we encourage civil servants to give us a call,” Meghoo added. He said the offer was open to all government and statutory authority employees between 3-31 May this year and each client would be entitled to one free confidential consultation by appointment. (CNS): The forthcoming national census will be used to inform future government policy, the premier said this week. 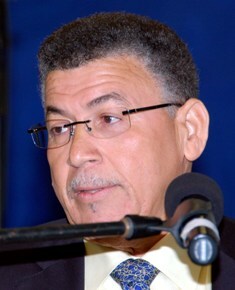 Mckeeva Bush said that given the present economic climate everyone must carefully plan where and how to concentrate their resources, and urged people to take part and cooperate with Census 2010 officials when they visit homes later this year. He pointed out that around the world governments were using the kind of objective evidence the national count will reveal to shape policy, and that as an international financial centre the Cayman Islands must also plan for the future on accurate data. The census is integral to the successful development of the country, Bush said. The premier said the work of the Economics and Statistics Office (ESO) is vital to quantify what the Cayman Islands looks like. “Ultimately, as a financial services centre that is aiming to become a world class business centre, it is an inescapable conclusion that we cannot continue to grow without thought to the consequences, or without properly weighing comparative benefits, as we have done in the past,” Bush explained. The information will assist government and business, he added, with regards to jobs, income and housing in each district, as well as determining the trends and patterns and gauge the effectiveness and efficiency of government services such as health, education, employment and planning as well as demonstrate the degree to which residents are benefiting from the economy. Bush noted that an issue likely to interest policy-makers was gender, as the 1999 census highlighted a gender wage gap in different industries. “As we know, the National Association of Living Conditions (NALC) Report found women to be disproportionately represented among the unemployed and the under-insured. 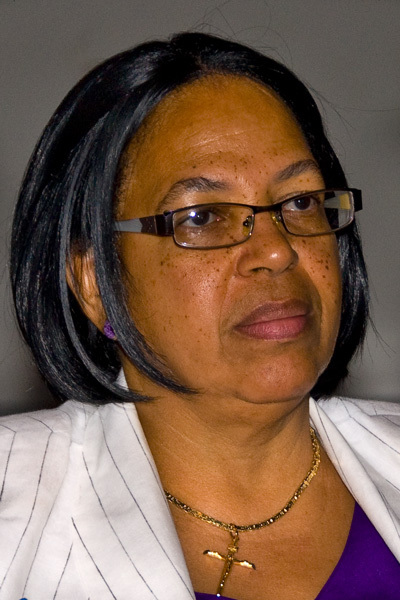 As we move towards becoming a human rights culture, it is essential for us to address this issue, but to do so in a manner based on evidence,” Bush said, adding that the 2010 census would be an essential tool in crafting policies that point the way towards wage equality for women in the Cayman Islands. “Over the coming years I would like to see the Cayman Islands develop into a highly literate and numerate society where everyone, even the man on the street, is aware of information that is contained in the census and similar projects,” Bush added. During his welcoming remarks at the event, Financial Secretary Kenneth Jefferson said the goal over the next few months was to educate the public on the need to take part. He said the message would be ringing out across the country until census day, which is on 10-10-10. In the interim, he said, there was also a need for more business and NGOs, churches to get on board and help promote the count. The FS said Caribbean Utilities Company and Brac Power and Light had already offered their support for the census promotion. He explained that recruitment for the censor takers would start in June but the ESO was interested in hearing from people who were interested in joining the team. (CNS): Updated Friday. Although police have now introduced a policy of not naming people who face criminal charges the man who was charged earlier this week with ‘accessory after the fact of murder’ is Craig Johnson. Johnson (29) appeared in court this week in connection with the murder of Marcos Mauricio Gauman. 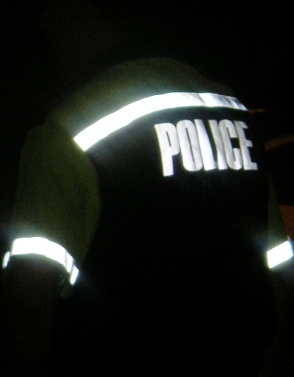 The fatal shooting took place on 11 March in Maliwinas Way, West Bay. Police have already charged a teenage boy with Gauman’s murder. Johnson was remanded in custody until next week. Police said this week they intend to continue withholding the names of suspects, even after they are charged. The sixteen-year-old boy accused of murdering Duran, who cannot be named for legal reasons, as oppose to police policy, appeared in court on 13 April but was refused bail, despite requiring specialist treatment as a result of a severe gunshot wound the teen received on the night that Duran was killed. Duran was the third murder victim of 2010. CNS was unable to access details of Johnson on the day he was charged as the news of his court appearance was not released until after the close of day for court business. 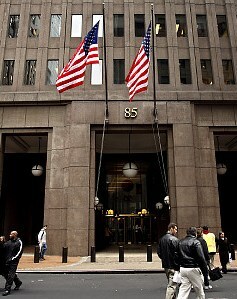 (Bloomberg): Federal prosecutors in New York are investigatingtransactions by Goldman Sachs Group Inc. accused of misleading investors, to determine whether to pursue a criminal fraud case, according to two people familiar with the matter. The federal review, which lawyers say is common in such a high-profile case, is being done by the US attorney in Manhattan, according to sources not authorized to comment and spoke on condition of anonymity. The Securities and Exchange Commission filed a civil lawsuit against Goldman Sachs on April 16 alleging fraud tied to collateralized debt obligations that contributed to the worst financial crisis since the Great Depression. 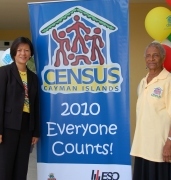 (CNS): Following the official launch of the Census 2010 publicity campaign on Cayman Brac last week (Thursday 22 April), a ceremony at the Mary Miller Hall yesterday (Thursday, 29 April) got the ball rolling on Grand Cayman. The actual census will start on the designated Census Day, 10 October, and be conducted over two months by Economics and Statistics Office (ESO) trained staff, including over 250 enumerators. The end result will be reports highlighting the statistics gathered, providing a database of information and statistics in a number of areas not captured so far on a scientific basis. The event was led by Governor Duncan Taylor, with Premier McKeeva Bush, ministers and officials of government, MLAs, private sector representatives, school children and members of the general public all participating in the launch of Cayman’s population and housing census. The importance of the census was illustrated by a video presentation highlighting aspects of Census 2010 and a rendition of 10-10-10, the census jingle, by high schoolers and ESO staff. Speakers at the launch underscored the need for all residents to understand and take part in the census without fear of their confidentiality being compromised. The event unveiled census billboards featuring spokespersons led by National Hero Sybil McLaughlin, banners promoting the census message and brochures that answer frequently asked questions about the census. At the end, potential enumerators, who will be carefully selected and fully trained, signed up. (CNS): The minister for education has revealed that members of the Legislative Assembly are never likely to agree on moving the election date back to November, and as a result it would be better to change the country’s financial year to run from 1 January to 31 December. Speaking during the debate on amendments to the Public Management and Finance Law on Wednesday afternoon to remove the 1 May deadline for government to present its budget statement to the House, Rolston Anglin said that when government undertook a wider review of the PMFL the financial year should be amended. Although the members of the Legislative Assembly have raised the question of moving the election back to November on a number of occasions, the two parties have never been able to agree to cut short or extend an existing administration’s term. Despite this, the idea of moving the election date back to November has persisted, but Anglin’s comments suggest government is now considering this alternative proposition of moving the financial calendar instead. The minister pointed out that by changing the financial year rather than trying to get an agreement on changing the election date, the government would bring the Cayman Islands in line with other governments around the world. He said that the January to December year was always preferable but that it had only been changed in the first place to accommodate the country’s election calendar. In the wake of Hurricane Ivan in 2004 the scheduled November election was postponed until May 2005, extending the then UDP administration’s term by some six months. When the PPM won that election, as an opposition the UDP would not agree to the PPM government adding six months to their term to return to a November date, nor would the PPM agree to cut their term short. As a result Cayman was forced into another May election, while the fiscal year stretched from 1 July to 30 June. That meant that again a new administration was presented with the problem of not having enough time to prepare its own full budget and having to use the policy directions from the previous administration to present a short temporary budget before bringing a more comprehensive financial plan in October. During the debate surrounding the current government’s budget difficulties Anglin said that, as there was no sign the election-cycle was ever going to change, the only solution was to change the financial year. 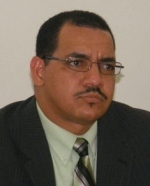 Anglin stated that when government completed its full and comprehensive review of the Public Management and Finance Law it would be one of the areas government would examine. (CNS): The Cancer Society used some of the funds it raised this year to ensure the islands’ only two Chemotherapy Nurses were re-certified and able to continue practicing. Cyndy Ebanks and Andrew Ward are by the Health Services Authority and as Chemotherapy Nurses they must re-certify and get re-licensed to administer treatments every two years. This year both Ebanks and Ward were up for re-certification and it was essential that they attend the Chemotherapy Course in Miami and pass the examination which tests their knowledge of professional standards and processes. Lizzette Yearwood, CEO of the HSA said this type of sponsorship was essential to help the authority meet the country’s healthcare needs. Yearwood said that as with most healthcare institutions around the world, the HSA relies heavily upon donations from organizations and individuals to help fund the purchase of new equipment or the provision of specialized services. “Donations like this one from the Cancer Society are very much appreciated and necessary for us to meet the healthcare needs of the country,” she added. A charitable trust has even been set up, through Scotiabank, to promote fundraising efforts in support of the HSA. The “Caring for Life Cayman Islands Charitable Trust” was established in March 2009 to ensure continually improved world-class healthcare for all people within the Cayman Islands by funding equipment, capital improvements, research, and education for the HSA. The Trust is governed by a Board of Trustees that is independent of both government and the HSA. Some Trust money will be spent to purchase major pieces of equipment for the HSA, such as: ultrasound machines, dialysis machines, patient lifts, surgical equipment, digital x-ray, and an EKG machine. (The Source-WSJ): An initial vote by the European Parliament late Wednesday on new regulation for hedge funds and private equity suggests that both industries will be subject to much more onerous disclosure, monitoring and capital requirements. JURI the legal affairs committee of the EU Parliament, said that portfolio companies owned by private equity and venture capital firms should disclose their development progress and divestitures which industry players say will disadvantage companies and give commercial rivals a competitive edge. Speaking to the West Bay community on Tuesday evening, the three member commission, chair Carl Dundas, Norman Bodden and Adriannie Webb, said that their remit was to divide the country into 18 even and fair constituencies, but it would be up to the politicians to choose whether or not the Cayman Islands would move to one member one vote. Once their report was submitted they would have no further say in the future political landscape. Basing their work on the previous boundary commission’s research which was conducted in 2003, the members said their predecessors had already created 17 potential seats. Given the passage of time, the members said they would now have to re-visit those constituencies to see if the numbers were balanced. Their main goal, they said, was to find an 18th constituency and to consider the future growth of the islands and potential or qualified voters as well as those already registered. The commissioners explained that the increase was set out in the Constitution and therefore it was their role to find where the extra seats could go not whether the numbers should be increased or not. The committee said they would be fair and impartial regarding their work and there would be no gerrymandering with electoral boundaries, but they admitted that they could not compel the LA to adopt their recommended constituencies. The commissioners said that the EBC will make a recommendation on the kind of constituencies the Cayman Islands will have whether it is single-member constituencies (SMCs), multi-member constituencies (MMCs), or a combination of both based on the sentiments expressed to them by the public. Following the first two meetings in George Town and West Bay on Monday and Tuesday, the chair said the Commission would now look beyond what they had originally contemplated. “We look forward to very stimulating discussions and recommendations in other districts,” Dundas said adding that there were several principles relating to electoral boundary-making: the process should be fair to all stakeholders; it should be transparent and participatory; and it should take into account various concerns as well as the traditional community boundaries. At the end of the public consultation process, the commission’s’ recommendations will be sent to the governor, who will forward them to the premier, and then they will be considered in the Legislative Assembly. The next meetings will be on the Sister Islands this Friday, 30 April, meeting at the Little Cayman Beach Resort from 10:00am to 1:00pm, and then at Cayman Brac’s Aston Rutty Civic Centre from 7:00pm to 9:00pm. Tuesday, 11 May at the East End Civic Centre. All meetings are being held from 7 – 9:00 pm. For further information, contact the Elections Office at 949-8047.